Can I make a segment based on how much % of a video is watched? When creating a filter for segments, you can apply this option under "Watched specific video(s)". 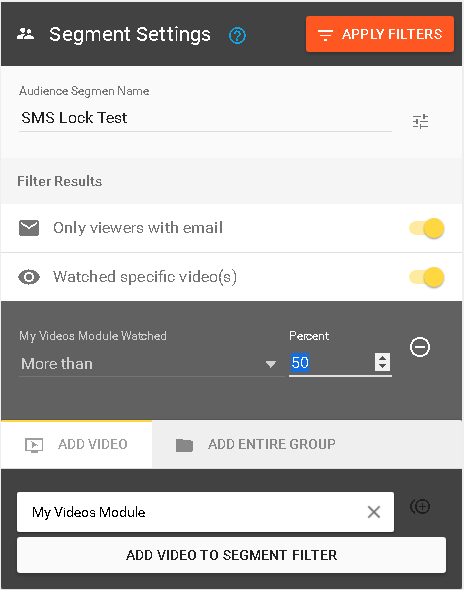 Choose the desired video(s) and select "More than" or "Less than" and desired %, then click on APPLY FILTERS and the results will be displayed.